Wibu-Systems introduces offline license transfer. At this year’s Hannover Messe, Wibu-Systems is presenting two new license types at its booth D05 in hall 8. Users will now have the ability to move and borrow licenses in a flexible and secure way, experiencing a new level of convenience. Both manufacturers and users will benefit from the new licensing feature: Manufacturers can define the terms of the lending process and let their protected software be moved, while making sure their settings are maintained. 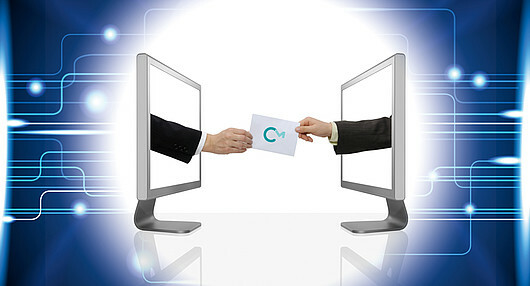 Users can comfortably borrow the licenses of the protected software according to their needs and transfer them even without Internet connection. In the past, borrowing licenses often required a compromise between security and convenience. Wibu-Systems is the first vendor worldwide to merge the two aspects and go even beyond this old paradigm by offering license transfer offline, essentially without a connection between the license server and the client. For an easy handling of both license types, Wibu-Systems has also introduced the "Universal Firm Code", which allows full compatibility of licenses regardless of their storage medium; licenses stored in a hardware repository (CmDongle), in a soft container (CmActLicense), on a LAN server, in a WAN, or in the cloud are all interfaceable. Such compatibility was made possible by Wibu-System without compromising security – again, another unique trait of the leading protection, licensing, and security expert. Additionally, the Universal Firm Code provides a higher level of security through a proprietary encryption method for licenses and a more flexible management of the permissions, based on the use of certificates. Moreover, licenses are reduced in size, thus taking up less storage space. This final advantage is particularly relevant in the industrial field, where every byte counts. CodeMeter μEmbedded and CodeMeter Embedded complete the CodeMeter family and meet the requirements of compact runtime environments for very small devices, like PLCs, mobile units, and microcontrollers.